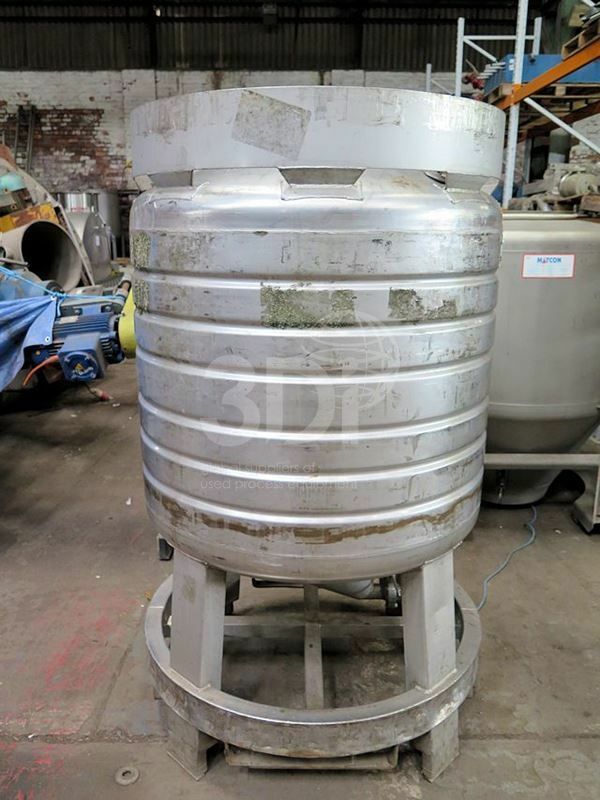 Used 800 Litre Stainless Steel Storage Tank, manufactured by D.C. Norris & Co Ltd, 1991. Orientation: vertical, cylindrical, dished top, coned bottom, on legs. Dimensions: 1700mm total height, 1000mm diameter. Connections: (1) 100mm top centre inlet, (2) 65mm top inlets, (1) 50mm bottom outlet. Working pressure 30psi. Design temperature 120 degrees C.Previously used on food.